Author and illustrator Scoular Anderson's family took over this sloping garden wilderness almost 60 years ago, and it was 40 years ago that Scoular became the family's head gardener. 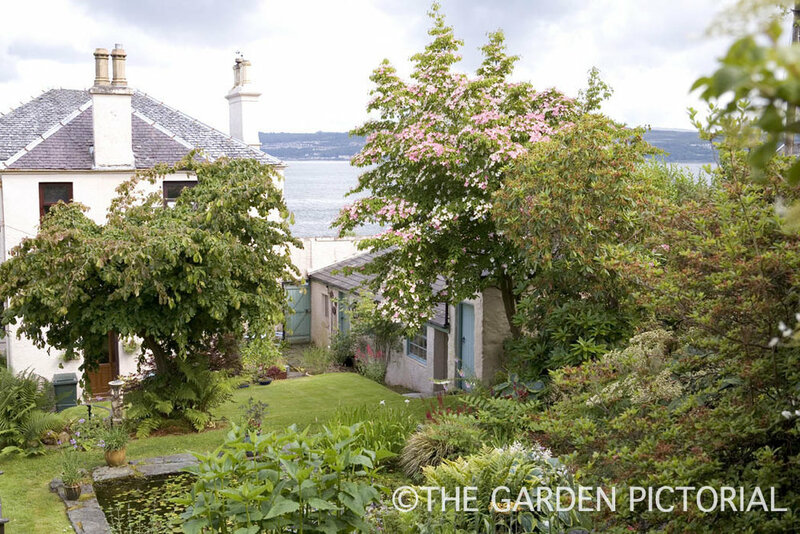 His intention was simple - to create several gardens within the garden, each with its own character, and aiming to have interest throughout the year. The west coast of Scotland presents the challenges of rain and high winds, but the climate is relatively mild, so certain tender plants usually survive the winter. Scoular's favourite area is the front garden - close to sea but sheltered and sunny, with a blaze of exotic colour from late summer to early autumn.